Arya Renjan, Karuna Pande Joshi, Sandeep Nair Narayanan and Anupam Joshi, DAbR: Dynamic Attribute-based Reputation Scoring for Malicious IP Address Detection, IEEE Intelligence and Security Informatics, November 2018. To effectively identify and filter out attacks from known sources like botnets, spammers, virus infected systems etc., organizations increasingly procure services that determine the reputation of IP addresses. Adoption of encryption techniques like TLS 1.2 and 1.3 aggravate this cause, owing to the higher cost of decryption needed for examining traffic contents. Currently, most IP reputation services provide blacklists by analyzing malware and spam records. However, newer but similar IP addresses used by the same attackers need not be present in such lists and attacks from them will get bypassed. In this paper, we present Dynamic Attribute based Reputation (DAbR), a Euclidean distance-based technique, to generate reputation scores for IP addresses by assimilating meta-data from known bad IP addresses. This approach is based on our observation that many bad IP’s share similar attributes and the requirement for a lightweight technique for reputation scoring. DAbR generates reputation scores for IP addresses on a 0-10 scale which represents its trustworthiness based on known bad IP address attributes. The reputation scores when used in conjunction with a policy enforcement module, can provide high performance and non-privacy-invasive malicious traffic filtering. To evaluate DAbR, we calculated reputation scores on a dataset of 87k IP addresses and used them to classify IP addresses as good/bad based on a threshold. An F-1 score of 78% in this classification task demonstrates our technique’s performance. This symposium will bring together researchers in privacy and researchers in either artificial intelligence (AI) or human language technologies (HLTs), so that we may collectively assess the state of the art in this growing intersection of interests. Privacy remains an evolving and nuanced concern of computer users, as new technologies that use the web, smartphones, and the internet of things (IoT) collect a myriad of personal information. Rather than viewing AI and HLT as problems for privacy, the goal of this symposium is to “flip the script” and explore how AI and HLT can help meet users’ desires for privacy when interacting with computers. How can AI and HLT preserve or protect privacy in challenging situations? How can AI and HLT help interested parties (e.g., computer users, companies, regulatory agencies) understand privacy in the status quo and what people want? The symposium will consist of invited speakers, oral presentations of submitted papers, a poster session, and panel discussions. This event is a successor to Privacy and Language Technologies (“PLT”), a 2016 AAAI Fall Symposium. Submissions are due 2 November 2018. For more information, see the symposium site. Professor Alan Sherman and colleagues were recently awarded more than $5.4 million dollars in three new grants to support cybersecurity research and education at UMBC, including two from the National Science Foundation (NSF) and one from the National Security Agency (NSA). Dr. Sherman leads UMBC’s Center for Information Security and Assurance which was responsible for UMBC’s designation as a National Center of Academic Excellence in Cybersecurity Research and Education. 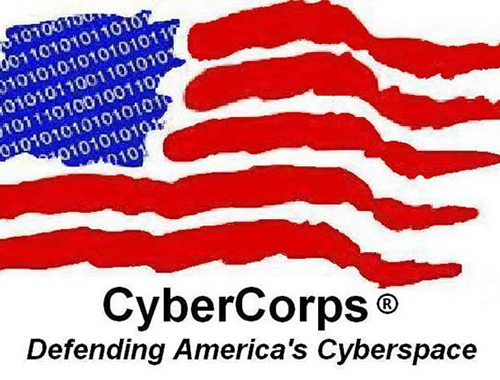 This summer, NSF funded Sherman’s second CyberCorps Scholarship for Service (SFS) grant (Richard Forno, CoPI) that will fund 34 cybersecurity scholars over five years and support research at UMBC and in the Cyber Defense Lab (CDL). The $5 million award supports scholarships for BS, MS, MPS, and PhD students to study cybersecurity through UMBC degree programs in computer science, computer engineering, cyber, or information systems. SFS scholars receive tuition, books, health benefits, professional expenses, and an annual stipend ($22,500 for undergraduates, $34,000 for graduate students). In return, each scholar must engage in a summer internship and work for government (federal, state, local, or tribal) for one year for each year of support. The program is highly competitive and many of the graduates now work for the NSA. A novel aspect of UMBC’s SFS program is that it builds connections with two nearby community colleges—Montgomery College (MC) and Prince Georges Community College (PGCC). Each year, one student from each of these schools is selected for a scholarship. Upon graduation from community college, the student transfers to UMBC to complete their four-year degree. In doing so, UMBC taps into a significant pool of talent and increases the number of cybersecurity professionals who will enter government service. Each January, all SFS scholars from UMBC, MC, and PGCC engage in a one-week research study. Working collaboratively, they analyze a targeted aspect of the security of the UMBC computer system. 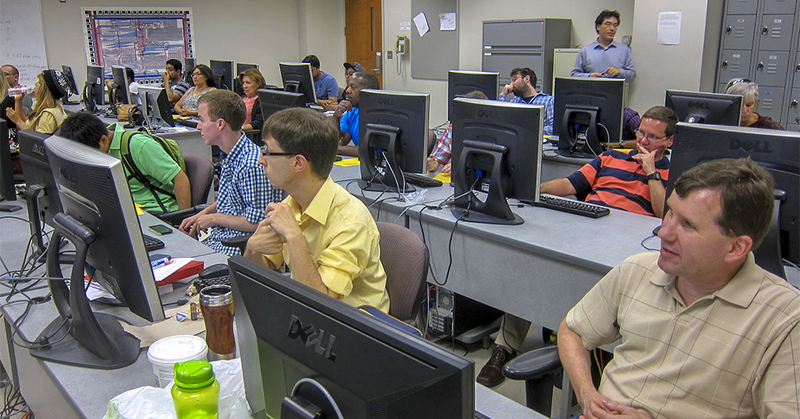 The students enjoy the hands-on experience while helping to improve UMBC’s computer security. Students interested in applying for an SFS scholarship should consult the CISA SFS page and contact Professor Sherman. The next application deadline is November 15. With $310,000 of support from NSF, Sherman and his CoPIs, Drs. Dhananjay Phatak and Linda Oliva, are developing educational Cybersecurity Assessment Tools (CATS) to measure student understanding of cybersecurity concepts. In particular, they are developing and validating two concept inventories: one for any first course in cybersecurity, and one for college graduates beginning a career in cybersecurity. These inventories will provide science-based criteria by which different approaches to cybersecurity education can be assessed (e.g., competition, gaming, hands-on exercises, and traditional classroom). This project is collaborative with the University of Illinois at Urbana-Champaign. With $97,000 of support from NSA, Sherman is developing a virtual Protocol Analysis Lab that uses state-of-the-art tools to analyze cryptographic protocols for structural weaknesses. Protocols are the structured communications that take place when computers interact with each other, as for example happens when a browser visits a web page. Experience has shown that protocols are so complicated to analyze that there is tremendous value in studying them using formal methods. Sherman and his graduate students are making it easier to use existing tools including CPSA, Maude NPA, and Tamerin, applying them to analyze particular protocols, and developing associated educational materials. Jennifer Sleeman, Milton Halem and Tim Finin, Ontology-Grounded Topic Modeling for Climate Science Research, Semantic Web for Social Good Workshop, Int. Semantic Web Conf., Monterey, Oct. 2018. (Selected as best paper), to appear, Emerging Topics in Semantic Technologies, E. Demidova, A.J. Zaveri, E. Simperl (Eds. ), AKA Verlag Berlin, 2018. In scientific disciplines where research findings have a strong impact on society, reducing the amount of time it takes to understand, synthesize and exploit the research is invaluable. Topic modeling is an effective technique for summarizing a collection of documents to find the main themes among them and to classify other documents that have a similar mixture of co-occurring words. We show how grounding a topic model with an ontology, extracted from a glossary of important domain phrases, improves the topics generated and makes them easier to understand. We apply and evaluate this method to the climate science domain. The result improves the topics generated and supports faster research understanding, discovery of social networks among researchers, and automatic ontology generation. Muhammad Mahbubur Rahman and Tim Finin, Understanding and representing the semantics of large structured documents, Proceedings of the 4th Workshop on Semantic Deep Learning (SemDeep-4, ISWC), 8 October 2018. Understanding large, structured documents like scholarly articles, requests for proposals or business reports is a complex and difficult task. It involves discovering a document’s overall purpose and subject(s), understanding the function and meaning of its sections and subsections, and extracting low level entities and facts about them. In this research, we present a deep learning based document ontology to capture the general purpose semantic structure and domain specific semantic concepts from a large number of academic articles and business documents. The ontology is able to describe different functional parts of a document, which can be used to enhance semantic indexing for a better understanding by human beings and machines. We evaluate our models through extensive experiments on datasets of scholarly articles from arXiv and Request for Proposal documents.